Thinking of selling mine. 100% working but very much a players machine. Playfield is 90% Mylar from the flippers to the bottom of the abc lanes at the top so it's probably awesome if someone is brave enough to remove it. 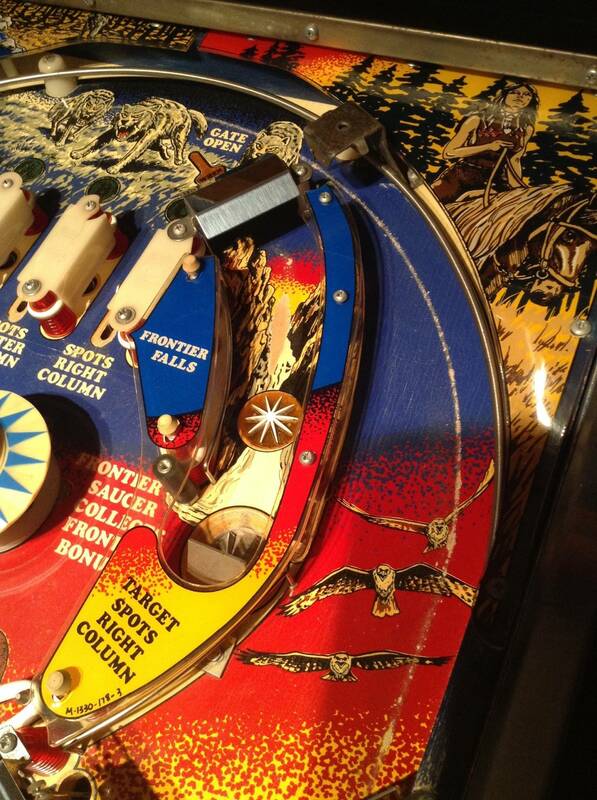 There is wear coming out of the shooter lane, in the frontier bonus saucer lane and in the out hole for some reason. cabinet is very sound structurally. But lots of paint chips. What should a guy ask for something like this? It's a rare game and I have people lining up to buy it but I dont want to burn any bridges by gouging any local collectors either. I bought it for a great price but I've put what I would consider lots of money in to it to get it to this stage. Anyone have any thoughts on a price. And before the offers start coming in, I'm not really interested in shipping it. Would be either a pick up or for the right deal I'd be willing to deliver or even meet half way for a trade. 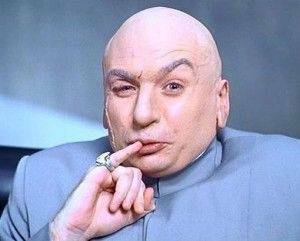 "One million dollars", just kidding... 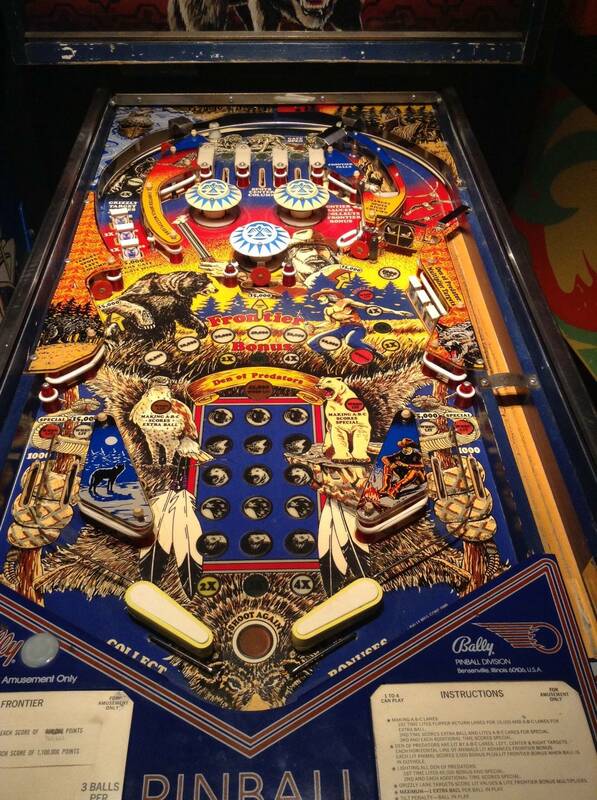 Very nice playfield on that. Good luck with the sale. Make sure you want to sell it before it's too late, lol. It's fun to play still. But the crickets make my wife's ears bleed and I'm looking to upgrade to something like a Williams system 11. Would love my grand lizard back. And have been pondering an f14 tomcat. the price I had in my head was much lower than that. That's kinda why I thought I'd ask. Haven't sold much since things got silly price wise. Forgot to mention it has a brand new after market mpu. And back glass is really nice. Whysnow will be in here soon to tell you its worth 2,500-3,500 now that he found one. 1500 us converts to around $2000 cdn. That's around what I was thinking. you still looking for one pinlink? 2k easy on this. Den looks nice compared to most. I always think people liek you that constantly low ball should atleast have the dignity to show even ONE example at this 1200 claim. Dude, you are a known price pumper and it gets so old. I knew you would be here soon to pump this one up too. No, I am not looking for one. The OP is right, 1,500 USD is a good starting point for this. 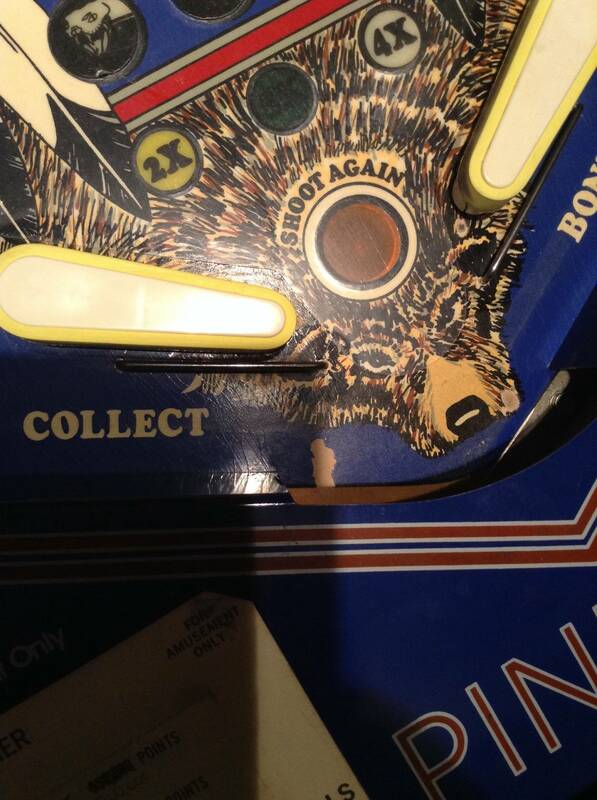 But with the wear on the playfield that may even be tough to get. pinlink, I was not even going to comment till you barfed in here. lets see your 1200 examples please. I am not going to post them but there are over 10 WTB ads for Frontier in the past 12 months, just on Pinside. Ill be waiting for your 1200 examples in the recent past. To the OP, You will be able to get 2k no problem and that is a very fair price if you are concerned on gouging locals. Just look around at past FS, FT, and WTB ads under frontier. You will find the knowledge you seek and learn whom is trolling your price check threads. That Frontier is US $2000 minimum. Everyone claiming that this is a 2k minimum game has one in their collection. That has to be taken into account. The price pumping here is getting out of hand. No way someone is paying 2k for a worn out frontier. Lol at your examples whysnow! Those never sold. If someone is asking 5k but doesn't sell, does that make frontier a 5k game? 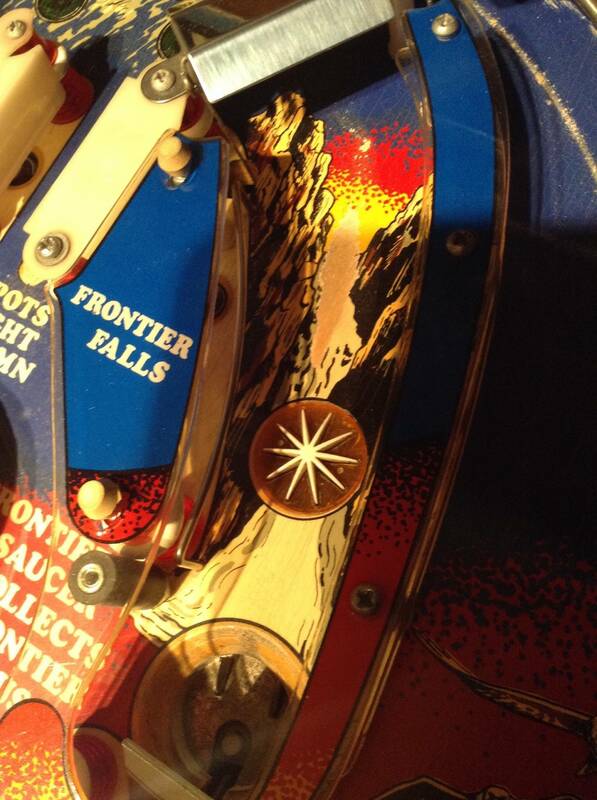 First off my Frontier is never for sale. There is no price pumping going on from me. This is my childhood game and I dig it! 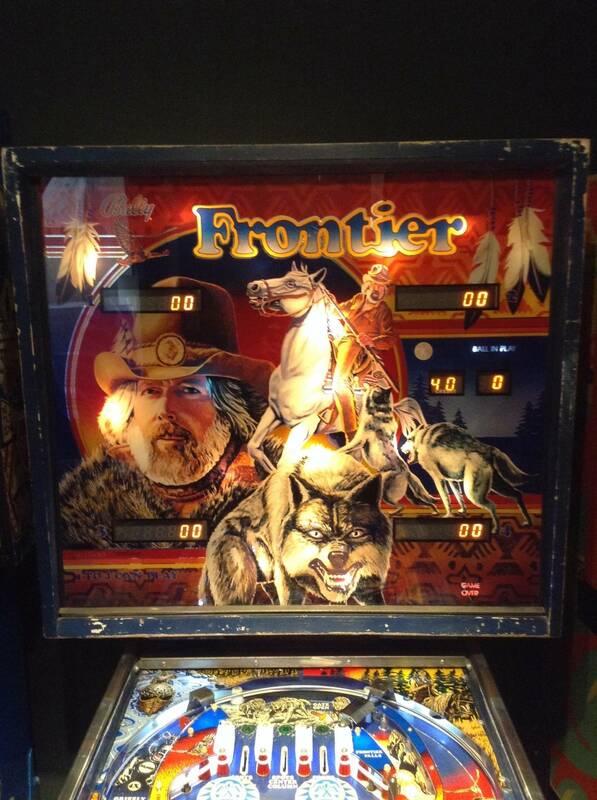 I know the price of these now and if you can find a working Frontier for under 2k show me the way. Keeping my eye on this thread...just picked one up two weekends ago, way nicer than this one. He has been looking for a Frontier for a while and missed the boat when you could buy them for under 1500 and now thinks if he just makes wild claims, then he will eventually find one at that price from a sucker that listens to him. He also does not realize that I keep pins so care little about their value in the resale since my house if like a black hole. i have 2500 into mine as it sits, but just got word my other pf is now restored (1500 additional for the pf and work) and ready. Mine will easily be over 6k once I am done. I buy what I want and dump dumb money into the ones I love to make them nicer. guess they sold quick? since they never even made it to pinside. Please pm me what you paid for it. Not interested in the spat. Just trying to get an idea what to list for. With that original PF, I would say closer to $2,500. I paid $1500 for a beat to hell one with a trashed pf. Want to test the market? Put it up on ebay and see what happens. I bought one a while ago for 2k, buyer asked if I sell it in future to let him know. Lol. Show me where I was ever looking for a frontier. I have never wanted to buy one and you are straight up lying at this point. You are a sad man. What determines the value of a game? I say it's what someone is willing to pay for the game (buyer). So far we just have a bunch of frontier owners saying it's a 25-3500 game. That does not determine the value. Best argument from a pin pumper, "I don't care about the value because I'm never selling!" . You don't have to be selling a game to have a vested interest in its value. still waiting for one of these 1200 examples of a clean, working recent sale. right now the lowest we have is 1500 with a little wear in the past year to a good friend and not on open market. I have a feeling pinlink will never get his Frontier if he keeps waiting for a 1200 one to show up. OP, good luck in your sale. Sounds like form others here that 2k is an easy sell. Still waiting on any proof that I have ever wanted a Frontier. You are blatantly lying about that which is just weird and says a lot about you as a person. Your "examples" are not helping your argument either. You sound like the person who claims their machine is worth 5k because they've "seen them listed on eBay for that much". They didn't sell for the listed price. Funny how the frontier owners are now down voting me. A Frontier anywhere near decent and under $1500, nobody will ever see it because it would be gone really fast. When you price this title with its rarity factor a little higher than $1500...the crowd that wants one takes notice, but they are not really fast to jump on it, mostly because then condition is investigated more thoroughly. I don't think this title really deserves to command a sale of $2000+ unless the condition is exceptional. Still waiting on any proof that I have ever wanted a Frontier. it becomes obvious when someone repeatedly jumps in threads on a specific deck to comment on mystical lower prices that they are ISO. Heck, I have done it and so have others. When you are looking for a title, you pop in and comment that the prices quoted are too high. Difference being is that when I quote lower prices I have actual public sales to back them up in most cases (sometimes they are private sales, but we both know public sales show market). Funny part about this is that for this case, location is probably one of the most important aspects in value. From what I see the OIP is in the middle of BFE nowhere so I have to guess the pin buying population is much lower and different there. For all we know it could be worth only 1500 if he does not want to ship. If he is willing to ship, then 2k will be an easy sale if marketed well with good pics. Heck, I have done it and so have others. When you are looking for a title, you pop in and comment that the prices quoted are too high. That's what YOU do. You also price pump titles that you own. This is certainly not the first time. No, dude. Your examples never sold. Do you get that? This is the only time I have commented in a frontier thread. So, another lie from Hilton. Let's take this to PM as this is getting personal with your lies about me. Don't know about price around here because there aren't any. Still looking. I'd buy the game posted if it were local. Here is my opinion on the OPs original request of pricing information based on his Bally Frontier game and its current condition. If this game is listed on Pinside for $2,000 USD +/- a couple hundred bucks, it will sell within a week. If this game is listed on Pinside for $1,500 USD +/- a couple hundred bucks, it will sell within 3-4 days. If this game is listed on Pinside for $1,200 USD or lower, it will sell on the same day it was listed. This is especially true if there is no shipping involved, i.e. local availability. But even with shipping from Canada, I think you will find someone willing to pay $1,500-$2,500 total (shipping costs included). P.S. Shipping using STI from Canada includes a surcharge to a custom broker. I have found that charge to be roughly $400. So that would be a cost that might prevent a quick sale. Coupled with STI's shipping cost of roughly $600, that could be an additional cost of $1,000 on top of the sale price for a US buyer to grab this particular game. I bought a fair condition one a couple years back for $800 and sold it to a friend for $800. It's currently in The Sanctum- Meriden, CT, open monday evening. my last pin shipped form canada cost $387 in total to ship and customs charge. 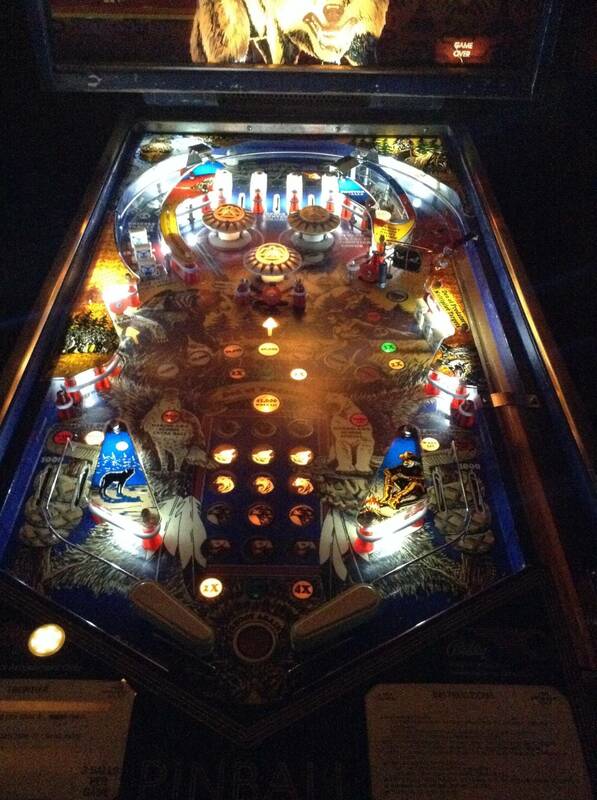 the equivalent of 1000 years ago in pinball years. Who did your shipping and customs? STI forced me to use a 3rd party, and the 3rd party cost me $400. I will have to look. Shipped terminal to terminal; that is how I ship all my pins. Should not be ANY customs fee when bringing an American made product back home is the way I understand it. Appreciate the feedback guys. Sorry for the sh&tstorm its created. Guess I missed out on a minor goldmine by passing on the ratted out one I grabbed for 500.00 last year for no markup.